Home HOME ACCESSORIES Doors Different Types Of Garage Doors And Their Uses! 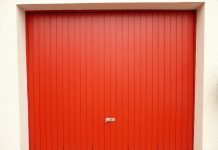 Different Types Of Garage Doors And Their Uses! Garage is one of the most important parts of the house. 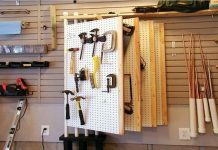 Garage has gained so much importance because it is the place where we keep vehicles and hardwood tools. So, it cannot be overlooked or ignored. While coming to the garage, the most important part is garage door. It is the thing which keeps all your vehicles and other tools safely. So, you need to be very careful while selecting door for your garage. Choose a door not only for the purpose of safety, but also to give look for your entire house. The most important thing you need to consider while selecting the style of garage door is your garage facelift. The existing garage facelift is necessary for you to choose the style, shape and size of the garage door. Also, it will help you to guess the space for car parking and also drive through space. So, you need to have proper idea about this and you will not miss by having a stilted garage entry. Usually there are very few types of garage doors. Each type offers different advantages and has unique characteristics. 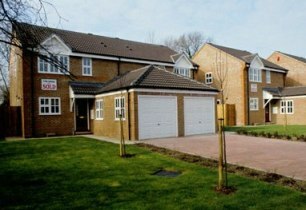 These garage doors are perfect for those houses which has large garage space. This door requires large amount of space when opens, almost whole door will move outer and then pull back into the garage ceiling. For this type of garage door, pivot point is located at the top. Due to this you can park your vehicle very close to the door and hence you will get more space for your drive way. This is the most advantageous feature of retractable garage door. It is better to install this garage door with an automatic electric opener, because this type of garage door is very simple to install. These doors are somewhat similar to retractable garage doors in case of functioning and use. 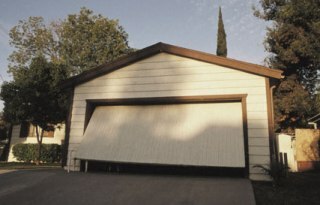 Usually these garage doors have separated panels and are suspended horizontally. Working of sectional door is same as retractable door; the face of the door will move upwards and fold back to the garage ceiling. This door is made of steel to improve the security and also accommodates functioning. The most convenient feature about this door is it is very easy to install. It comes in kits through four parts and it takes 3-4 hours to assemble. You can observe the most important characteristic of this garage door when the door is opened. When it is opened it hangs upwards into the garage ceiling and you will have up to 1/3rd of the garage door left outside the garage. You can install it very easily and it does not require complicated process. This garage door provides maximum security. Canopy garage doors are presented in many types of materials such as steel, timber, glass refined plastic, and acrylonitrile butadiene styrene. Before going to buy a garage door, you need to select the style. There are two main designs, one is tilt-up doors and the other is sectional roll-up doors. 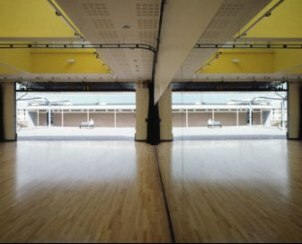 Sectional doors are costlier than tilt-up doors. Consider the type of material from which the door is made. Both sectional and tilt-up doors are made up of wood or steel. Wood is the cheaper one and also it looks good, but it will be easily damaged by the weather than steel. Steel doors are costlier and you won’t experience the same problem as with wooden doors. One thing you keep in mind is, while buying steel garage door, just ensure that it is made to prevent rust. Aluminum and fiber glass garage doors are also available. They are less expensive when compared to steel doors, but you should be very careful while using them. Finally what you need to do is just check the quality and model of the garage door that you are going to use. Previous articleHow To Start Home Decorating? 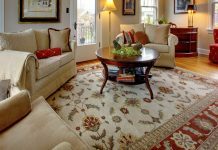 A Plan To Start Decorating Your Home! Next articleConsiderations For Your Home Office Set Up!